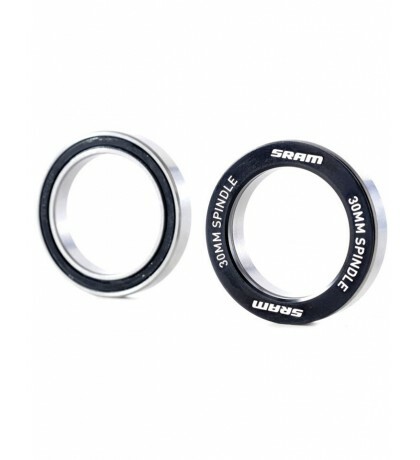 SRAM BB30 Assembly - set includes bearings, circlips,shims and seals. BB30 — named for its required spindle size — cuts weight by up to 100 grams, narrows Q-factor, increases ankle clearance, and ups bearing durability. 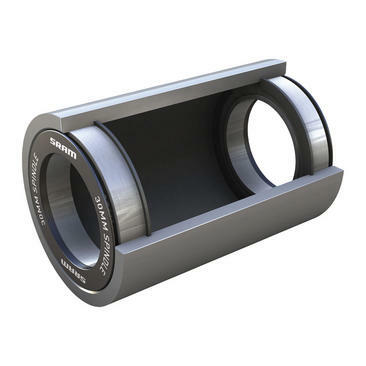 It's a fairly new standard involving different frame requirements and crank design. 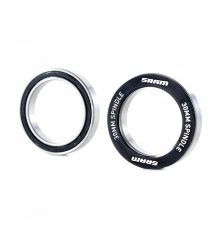 Along with a 30 mm spindle, it requires an oversized 68 mm or 73 mm bottom bracket shell and press fit bearings held in place by snap rings.